I was asked to make comment pertaining to our March 12, 2019 Town Meeting. Personally, I was disappointed with the meeting, but not necessarily for the reasons many folks have mentioned to me. My disappointment stems from not being able to cover each budget category, so we could point out the real successes we achieved with a very tight budget. White Oak Pit will become ours legally, after months of work with DOT to straighten out decades of miscommunications. The Transfer Station is well on its way to meeting State standards, avoiding penalties for non- compliance and safety issues. Insurances as a category went down – we switched providers and got some good performance credits. Technology (computers) – we upgraded vendors and further secured our system from hackers. North Hampton, New Hampshire got hacked and in hours lost $25,000. Hackers prey on small towns because we are easy targets. Emergency Services/EMT – we are now covered 24/7 with a strong agreement with Franklin. Kudos to John Kinney and his team! Highways – Old College and Monticello Roads are done, ready for top coat. Flaghole, Switch, Maple, Shaw Hill, Raccoon Hill, and Currier are all due for work, from the roads, to tree removal, to ditching, utilizing remaining grant money and planned project money. After months of negotiation with FEMA the storm damage to Elbow Pond Rd will be repaired. “Confusion” is the word I have heard most since the meeting. When Petition Warrant Article 12 (Appointed Road Agent) was moved to the beginning of the agenda, the wheels basically came off and derailed hours of preparation put in by not only the Select Board, but the other Boards and Committees. There is a difference between a Petition Warrant Article and a Warrant Article. A Petition Warrant Article allows any citizen, with a specific number of supporting signatures, to present/petition the town to consider an issue directly, by-passing the Select Board/Budget Committee. The Petitioner is responsible for presenting the article and providing the proposed and basic plan with rationale for the Petition Warrant Article itself to be considered by the voters. The Select Board is not responsible for the Petition, as we are for the “normal” Warrant Articles. So, we were silent, awaiting the petitioner to present the issue directly to all of us as voters. Yep, the Select Board looked bad, but that happens during town meetings throughout New Hampshire. You may recall, the various motions and approaches to the Moderator, for the movement of Article 12. This led to a flurry of voices and overwhelming attempts to properly position the Article according to the Secretary of State’s guidelines. The Petitioner started to field procedure questions and the “conversations” bounced back and forth. Confusion resulted and the remaining agenda focus was lost. Whose fault was it? Well it depends on any number of factors and I am not about to try and unravel that ball of string. Suffice it to say, we never really got back on track and everyone walked out still hungry, much like how you feel after a Chinese dinner, something was missing. Back to Petition Warrant Article #12. Now that it has passed, the Select Board is charged with meeting the criteria, though we did not have input to the request. We are formulating a plan to accomplish the goal. This is a major, but logical change to our Highway and Facilities philosophy. The hiring of a full time Road Agent requires much more than just picking a person. 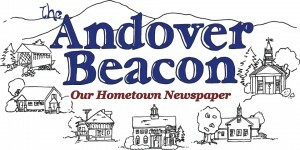 I am confident that the objectives will be met, and Andover will be in solid shape going forward. The Select Board meets twice a month, on Mondays at 6:30 PM. Join us, ask questions, we work for you.